In our on-going investigation Broken Roads, Broken System , 5 On Your Side Investigators have uncovered serious questionable decisions made by Cleveland's city leaders about repaving your roads. We are tackling more examples and tracking down Cleveland Mayor Frank Jackson after our numerous requests for interviews were denied. Believe it or not, once again, on the very first street we checked, Star Avenue, we found problems with the City of Cleveland following its own strategy. They say they're doing the absolute worst streets first, but the people who live on this street said Star should not be on the list. "It's not one of the worst streets in Cleveland,” said Antoinette Carter. She lives on Star and can't understand why money is being wasted repaving her street. "It bothers me that we pay taxes and you don't really see your resources. You don't see your money,” she said. And, how about Zoeter Avenue which was on the list to be paved? "There's much worse streets than this," said Ronnie Green who lives on Zoeter. He’s another resident that doesn't get the street selection process. 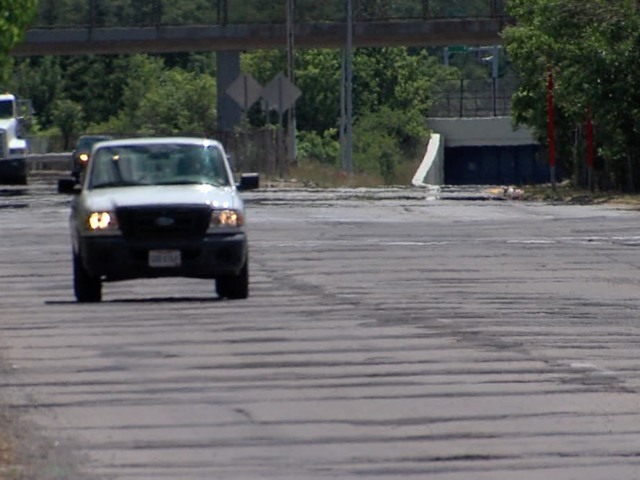 City leaders say they ride city streets evaluating roads for resurfacing. When we've tried to get interviews with Mayor Frank Jackson, the city’s communications department says ‘no.’ But we don't take no for an answer. "We've made several attempts to talk to you on camera about this process,” we told Mayor Jackson after the recent mayoral debate. “I'm saying to you, I agree. I think the process is valid. I think the process is working,” said Jackson. “Again, I'm glad that they ask that,” said Mayor Jackson. “I'm glad that they ask, 'Why is my street. I've never heard a constituent ask, 'why are you serving me?'" “You haven't been watching our reports,” we told the mayor. We’ve interviewed people like Dominique Howard who lives on Rutledge . Back in June she told us, “Not this (street). They shouldn't worry about this one yet. This should be one of the last streets." We also talked to Darrell Strowder who lives near W. 57th Street which was on the paving list. “That's a must…a better selection (of streets),” said Strowder. “I don't see anything wrong with the street." “Again, I have people who have the details who can talk to you about that,” said the mayor. “Well, I tell you what,” said Mayor Jackson. “Why don't you send it again and see if they deny you again." This isn't even mentioning our recent check of Linwood from 65th to 70th. It was a street with one pothole but the road was on the list to repave. It's enough to make residents upset. "When you wanted to be elected you told us you would do whatever we needed,” said Carter. “Well, we need a lot of stuff and it's just time to start moving and stop talking about it." Shortly after our talk with Mayor Jackson, the mayor's office contacted us to work out a sit-down interview. We will let you know if and when that happens.